O.J. Simpson has definitely returned to the pop cultural zeitgeist in a major way this year, thanks to the critical and commercial success of FX's The People v. O.J. Simpson: American Crime Story. ESPN Films is hoping to keep that momentum going with its latest 30 For 30 documentary, O.J. : Made in America, which premiered last Saturday on ABC and continued the rest of its run on ESPN. However, it doesn't seem like there will ever be a time when Simpson, his life, and the trial in which he was acquitted of the murders of Nicole Brown Simpson and Ronald Goldman will cease to fascinate us. So does that mean there could be more of O.J. : Made in America in the future? Well, ESPN Films has not yet officially announced whether or not we will see additional installments of O.J. : Made in America. Cranking out a five-part, nearly eight-hour documentary miniseries seems like more than enough to focus on at the moment, after all. However, there are some early signs that the public would at least be interested in seeing even more of Simpson's life story play out on screen. For one thing, the series has gotten rave reviews. It has a score of 95 on Metacritic, as of the time of this writing, and headlines like this one from the Los Angeles Times ' review of the documentary, "'O.J. : Made in America' is a movie so compelling you want it never to end ... even at 7-plus hours," are pretty much the norm for the series. And if O.J. : Made in America snags an Emmy — or even an Oscar — who wouldn't want to see more from a winner? O.J. : Made in America also did quite well in the ratings department, leading its June 11 premiere night on ABC among adults ages 18 to 49 with a little over 3.4 million viewers, according to The Nielsen Company, as reported by TV by the Numbers. To be fair, it didn't have a whole lot of competition since it made its debut on a Saturday, but hey, those people chose to stay home and watch the film, so that's saying something. All in all, O.J. : Made in America seems like a success. The only problem may be that there just isn't any more of Simpson's story to tell in order for there to be more parts to this miniseries in the future. The length of this documentary allows it to explore Simpson's life fairly comprehensively, beginning even before he was in the picture in order to provide context to the time in which he grew up and made a name for himself, according to the synopsis of Part 1 on the series' website. The documentary then goes on to cover everything from his Heisman Trophy-winning turn as a running back for the USC Trojans to his career in Hollywood to the impact of the Rodney King riots on his life and the nation to the murder of his ex-wife Brown Simpson to the trial to its aftermath to his current prison sentence, following his 2008 conviction for 12 charges (unrelated to the murders), including robbery, as reported by the New York Times. 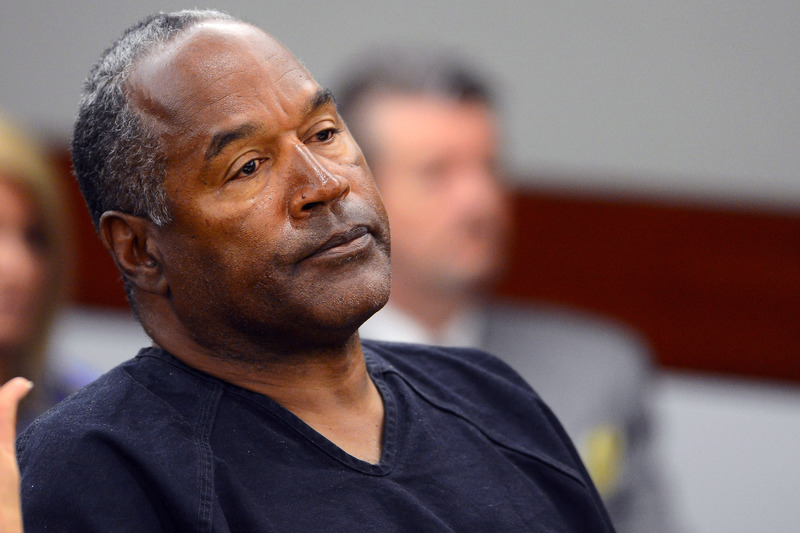 If there were to be more installments of O.J. : Made in America in the future, they would probably need to come in several years' time so that new developments in Simpson's life or new revelations about his past could come to light. There was a bit of hoopla in the media in March over news that a knife had reportedly been found at Simpson's former home many years ago. Though the LAPD eventually concluded that the knife was not used in the murders of Brown Simpson and Goldman in 1994, this anecdote just goes to show you that there's always going to be more to learn about the case. But does the filmmaker behind O.J. : Made in America, Ezra Edelman, think he could tell more of Simpson's story one day? "Yeah, I mean Part 6 of the documentary is coming when he gets parole, when he goes all Robert Durst on me," he joked, referring to the subject of the HBO true crime documentary series The Jinx, during a recent episode of the Wall Street Journal 's Speakeasy Podcast . "I don't know. I hope my part in the story is over." Well, Edelman may not explore Simpson's story any further, but based on the amount of documentaries and series already out there about him, I bet someone will.